I use this product as part of my digestive cleanse every year. 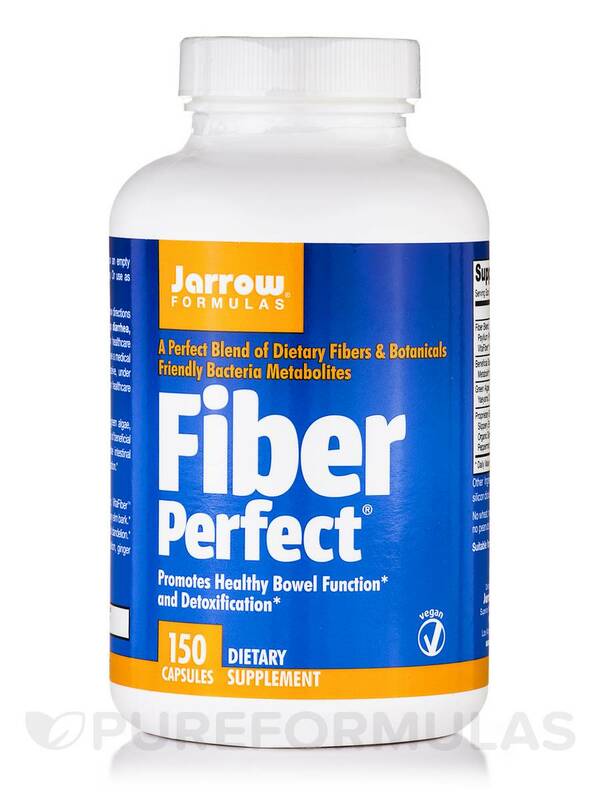 Fiber Perfect® 150 Vegetarian Capsules from Jarrow Formulas® is a proprietary blend of botanicals‚ green algae‚ dietary fibers‚ organic acids and cell wall components of good bacteria. 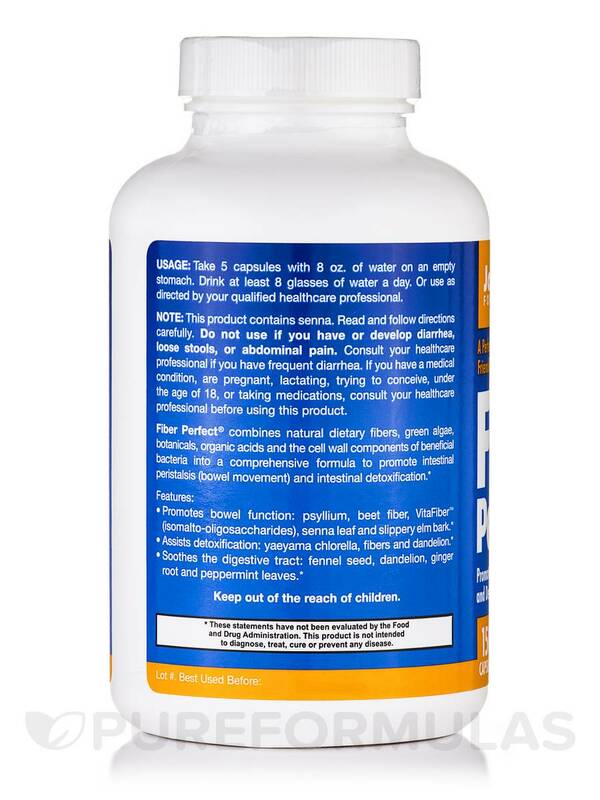 This dietary supplement enables proper elimination of waste materials from the body. This fast-paced world comes with its share of disadvantages too. Bad eating habits‚ unhealthy food‚ irregular lifestyle take a toll on our well-being and health. Intestinal detoxification is primary for good health. Irregular bowel movements can wreck havoc on our entire system. Most laxatives in the market today may make us addictive‚ therefore it is important to choose a supplement that helps and at the same time regularizes bowel movements to normalcy. This Jarrow Formulas® supplement may just be the answer. 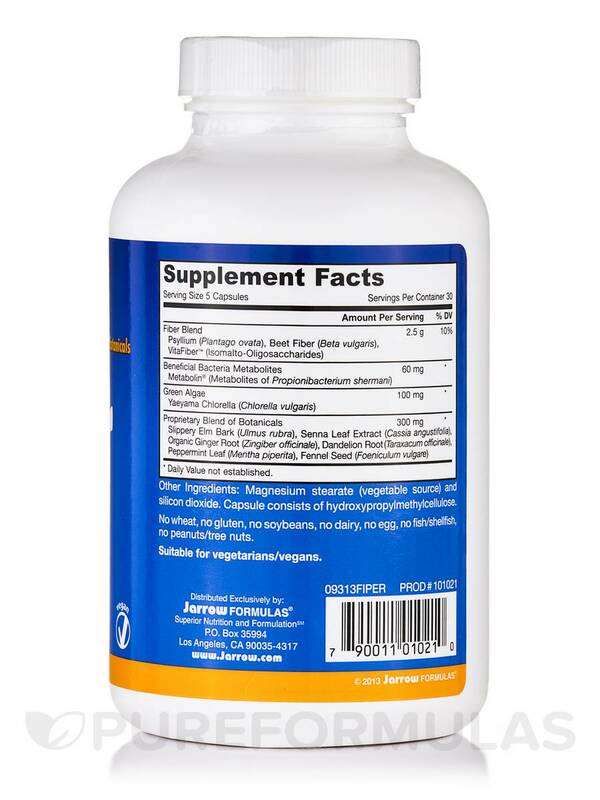 This supplement from Jarrow Formulas® contains Psyllium‚ beet fiber‚ VitaFiber‚ senna leaf and slippery elm bark. These botanicals may improve the bowel function in the body. 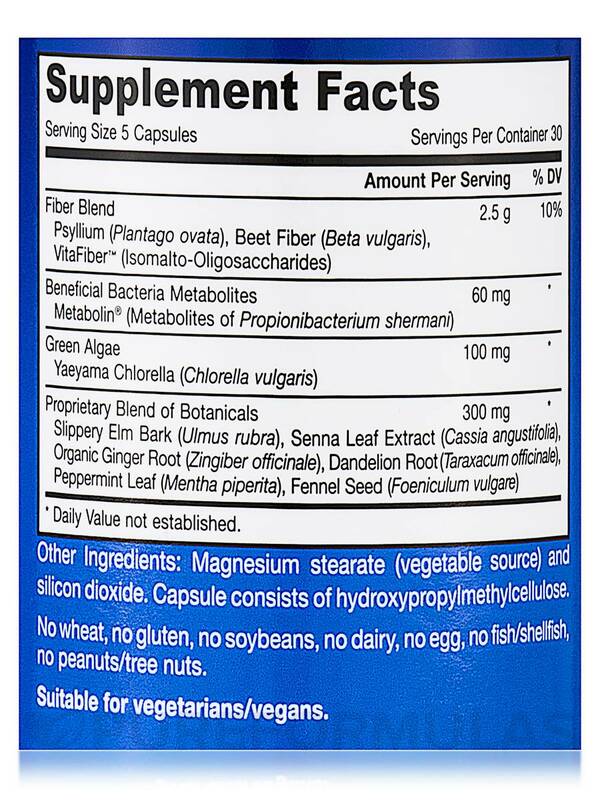 The greens present in this supplement are Yaeyama chlorella‚ fibers‚ and dandelion. These ingredients promote detoxification‚ while Fennel seed‚ dandelion‚ ginger root and peppermint leaves help soothe the digestive tract. This supplement contains no dairy‚ soy‚ egg‚ shellfish/fish‚ peanuts/treenuts‚ gluten and wheat. Get your dose of Fiber Perfect® 150 Vegetarian Capsules from Jarrow Formulas® and lead a good life. Fennel seed (Foeniculum vulgate)‚ Senna leaf extract (Cassia angustifolia)‚ Ginger Root (Zingiber officinale)‚ Slippery elm bark (Ulmus rubra)‚ Dandelion root (Taraxancum officinale)‚ Peppermint leaf (Mentha piperita). Take 5 capsules with 8 oz of water on an empty stomach. Drink at least 8 glasses of water a day. This product contains senna. Read and follow directions carefully. 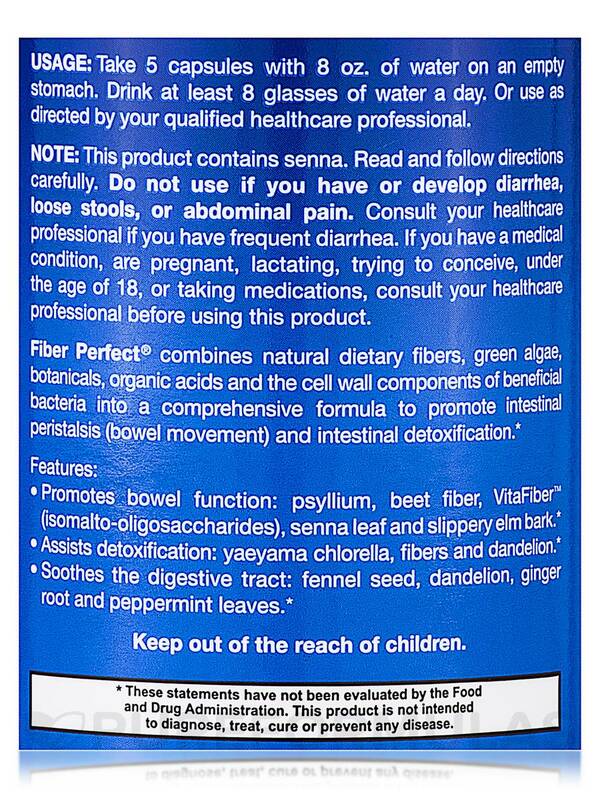 Do not use if you have or develop diarrhea‚ loose stools‚ or abdominal pain. Consult your health professional if you have frequent diarrhea. If you have a medical condition‚ are pregnant‚ lactating‚ or trying to conceive‚ are under the age of 18‚ or are taking medications‚ consult your health care practitioner before using this product. Works great for digestive cleanse!